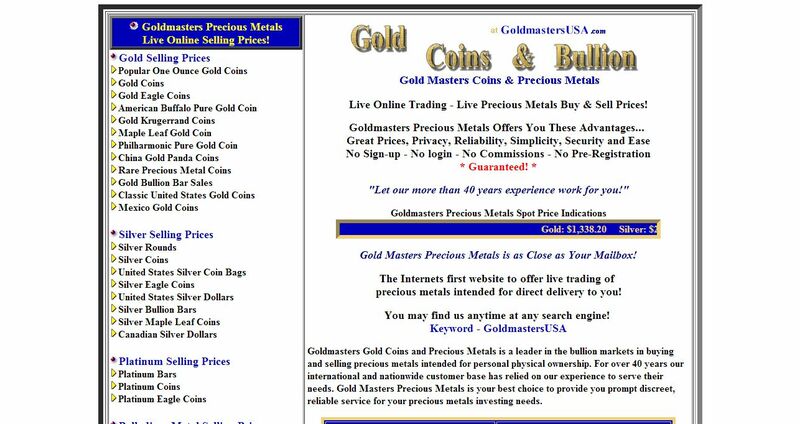 Goldmasters Gold Coins and Precious Metals address, phone, website, hours of operation, and more. Goldmasters Gold Coins and Precious Metals is a leader in the bullion markets in buying and selling precious metals intended for personal physical ownership. For over 40 years our international and nationwide customer base has relied on our experience to serve their needs. Gold Masters Precious Metals is your best choice to provide you prompt discreet, reliable service for your precious metals investing needs.